I acidently deleted some important voice memos on my iPod touch4. How can I recover them? Yes, there is such a way. Wondershare Dr.Fone for iOS (Mac) or Wondershare Dr.Fone for iOS (for Windows users) supports the recovery of Voice Memos. Both programs allow you to extract and preview iTunes backup data of your device and selectively recover your voice memos. 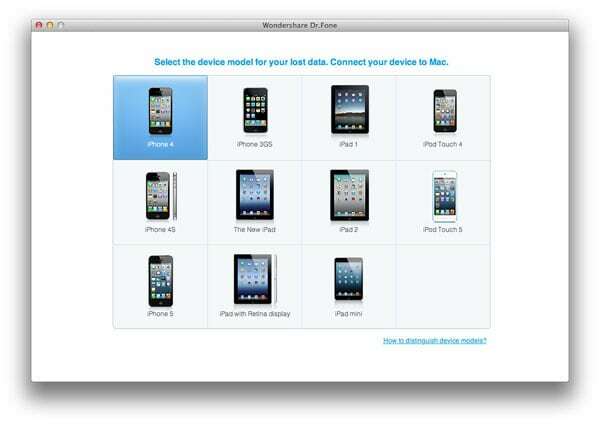 Moreover, Wondershare Dr.Fone also allows you to directly scan and recover vioce memos from iPhone 4/3GS, iPod touch 4 and iPad 1 without backup files. For iPhone 5 and iPhone 4S users, you can use the software to directly scan and recover text files like contacts, messages, notes, calendars and more. If you're You're encountering the same problem? Read on for the solution. Download the trial version of the software below and install it on your computer. Next, let's use the iPhone Voice Memos recovery software to retrieve your deleted voice memos in detailed steps, taking Wondershare Dr.Fone (Mac) as an example. Install and launch the program in Mac, and you need to select your device type for recovery and recovery mode firsrt. 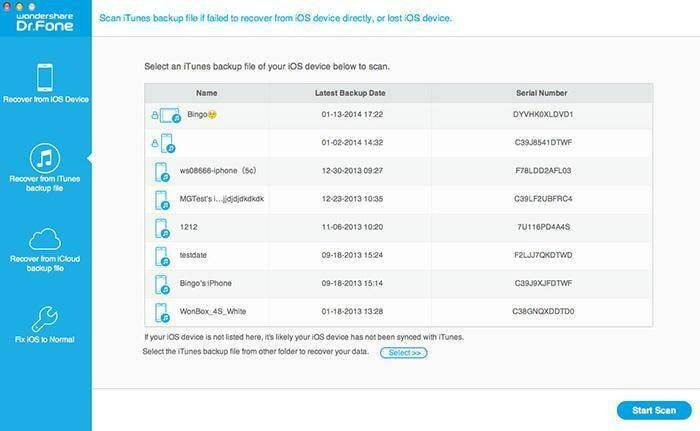 Here all your iTunes backup files will be automatically scanned and displayed as follow. Choose the one for your device, and then click "Start Scan" to extract the content. A few seconds later, all the contents in your backup file will be extracted and listed in categories. Select "Voice Memos" and check those M4A files. Mark vioce memos you want to recover and hit on "Recover" to save them all on your computer. 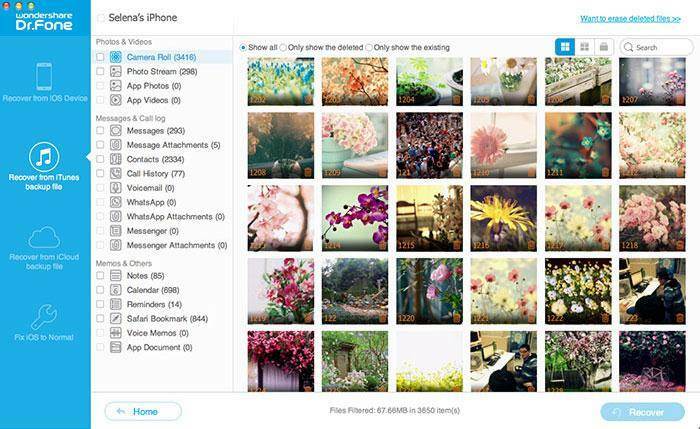 Also, you can recover other contents like photos, videos, contacts, messages, etc. from your backup file, if there's a need. If you're a Windows user, use Wondershare Dr.Fone and perform similar steps to retrieve your voice memos, or you can use the program directly scan your iPhone 4/3GS, iPod touch 4 or iPad 1 to recover data without iTunes backup.